Permit yourself the luxury of doing just one thing. 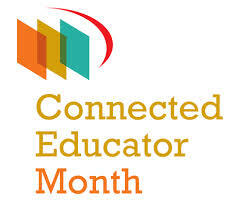 It’s Connected Educator Month. Every day, different learning opportunities are offered for teachers and leaders to expand their skills and personal learning networks. Congratulations on going microwave free. I appreciate people who can do without things that seem essential in our lives. I wonder if this will lead you to re-evaluating other things as well… I guess time will tell. It’s funny she asked this. I recently agreed to teach catechism for my church. My classroom is as technology-free as you can imagine. There are no projectors, tablets, or laptops available. We don’t even have a whiteboard, and when I say whiteboard, I mean the kind that uses dry erase markers. Instead, I have a chalkboard, with real chalk. Your first reaction might be that our classroom environment is lacking. How can we reach our learning potential when we are deprived of all the potential connections we might make? And you know what? It is freeing. These perceived constraints have helped me focus on good pedagogy. There is no worrying about whether technology should be a part of my lesson plan. We still have connections, but it is between each other and within ourselves. In the context of religious education, technology might actually be a deterrent to our progression toward the learning outcomes. In a previous post, I suggested that a teacher could never reach the pinnacle of their capacities as an educator if they weren’t more connected. I still believe this. However, these connections we make beyond the classroom walls should never replace the connections we make within them. There is this prevailing misconception floating out there that we should be connected 24/7 to ensure we don’t miss anything important. But if we are always connected, how do we find time to reflect on these great ideas we discover and apply them within our context? As we embark on this annual learning journey with Connected Educator Month, I am doing my best to remember that the effectiveness of technology is explicitly reliant on the presence of good pedagogy. This means allowing ourselves the luxury to do just one thing at a time. Mindfulness and connectedness are not mutually exclusive.